This cosy, privately-run hotel is located on a quiet side street within easy reach of the famous Kurfürstendamm boulevard and within 10 minutes of many Berlin attractions by public transport. Stay in the elegant Arta Lenz Hotel which is designed in a traditional patrician style. 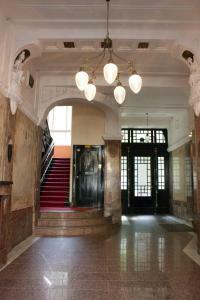 The 100-year-old hotel lift is an attraction in itself, as is the beautifully designed hallway. Whether you are a business traveller or a tourist, our hearty and comprehensive breakfast buffet will help you get your day off to a fine start. Guests can reach the shopping boulevard Friedrichsstraße, the famous Potsdamer Platz square, Brandenburg Gate and the bustling quarter, Hackescher Markt, along with many other attractions, within 10 minutes by public transport.